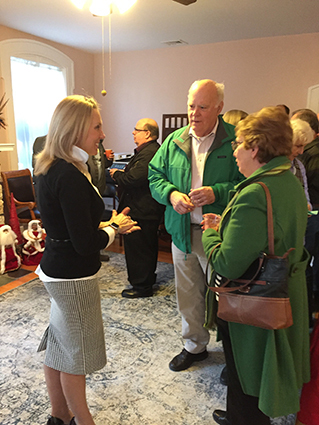 I want to thank everyone who attended the open house at my office on Thursday. 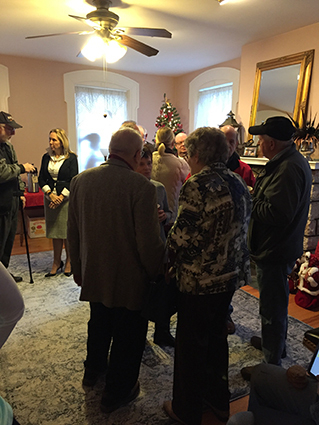 We had a great turnout and I enjoyed speaking with the people I represent. My office can assist constituents with state-related issues, such as PennDOT paperwork, PACE and PACENET applications for senior citizens, Property Tax/Rent Rebate forms and many others. Copies of House and Senate bills and current state laws. Certified copies of birth and death certificates. Veterans are encouraged to apply for federal health care and state benefits by visiting their local county director of veterans affairs or an area accredited service organization. County directors can be found by clicking here. To make it easier for residents of the 92nd District, my office hosts a monthly veterans’ assistance outreach initiative. A representative from the American Legion is in my office from 10 a.m. to 2 p.m. on the fourth Thursday of each month. Appointments must be made in advance by contacting my office at (717) 432-0792. Veterans and their dependents should never pay for help to apply for benefits. There are about 200 veterans service officers in Pennsylvania who work with organizations such as the DMVA, county veterans’ affairs offices and several veterans service organizations to provide assistance at no cost. To get timely information about state benefits, programs and services, veterans are urged to sign up for DMVA’s Veterans Registry at www.register.dmva.pa.gov. The 103rd Pennsylvania Farm Show wrapped up this past weekend. I had a wonderful time checking out the exhibits and meeting with folks from our area. Check out the above video of my interview with Secretary of Agriculture Russell Redding as we discuss the farming industry and challenges our farmers face in the state, and particularly in the district. In addition to all the delicious food offerings, the Farm Show featured 6,000 animals, 10,000 competitive exhibits and 300 commercial exhibitors. Locally, the 92nd District boasted a lot of winners at this year’s Farm Show. Be sure to check out the list on the Farm Show website, which can be found by clicking here. The site also includes hundreds of photos from the week, categorized by competition. The Pennsylvania Department of Transportation (PennDOT) is now accepting applications for 2019 summer employment for students and government services interns. To qualify, candidates must be 18 years of age and enrolled in college full-time for the fall 2019 semester. Applicants must also have a valid Pennsylvania driver’s license. The Summer Employment Program runs from May through August to supplement the permanent workforce. Government services interns are utilized primarily for summer maintenance and sign upgrade services. They also perform laboring duties in maintenance organizations as well as worksites along the highway. The deadline to apply is the close of business on Friday, Feb. 15. For more information, please call my district office at (717) 432-0792.